My vacation at Disney World has come to an end, and I had a great time with my family and friends. 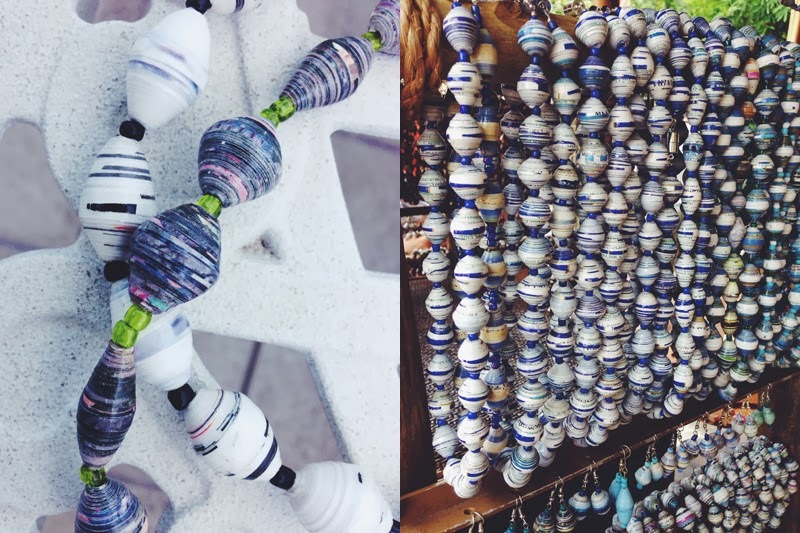 This post starts off Disney week on the blog. 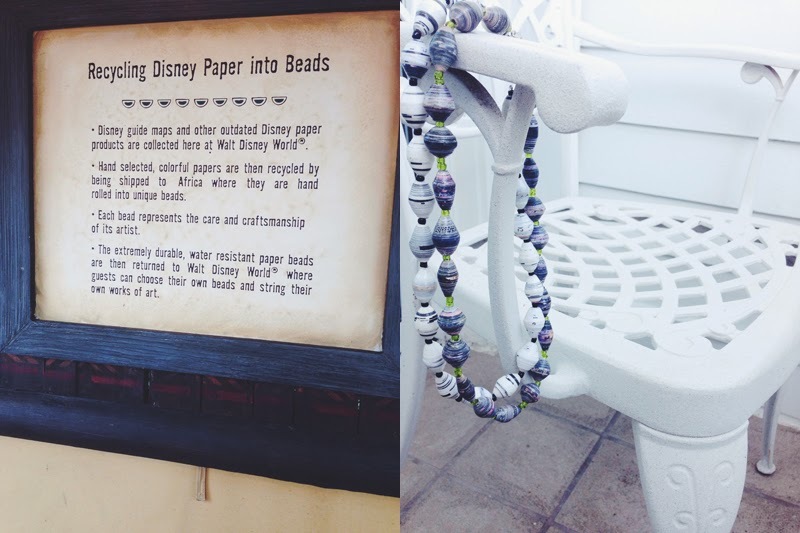 In Epcot, I spotted a bead stand with an inspiring story - Disney recycles their old maps and brochures by sending the paper to Africa to be hand rolled into beads. 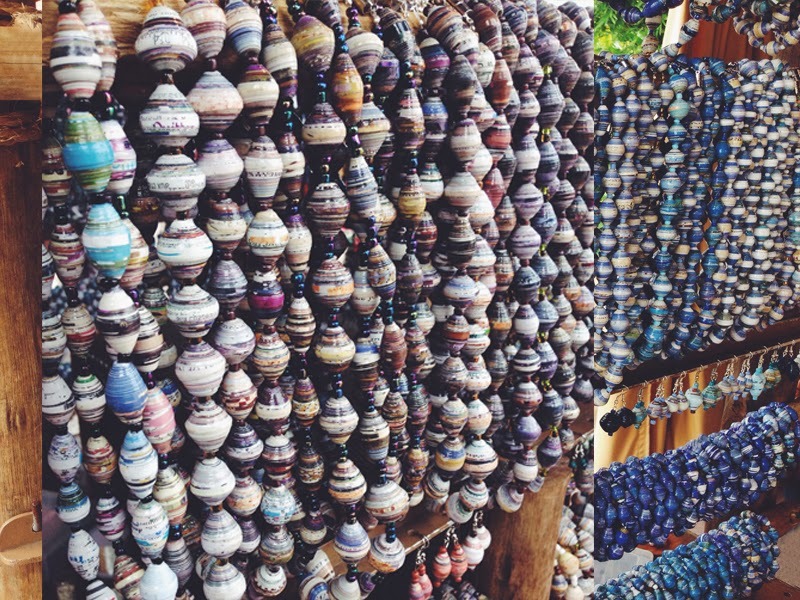 Those beads are used to make necklaces and bracelets. 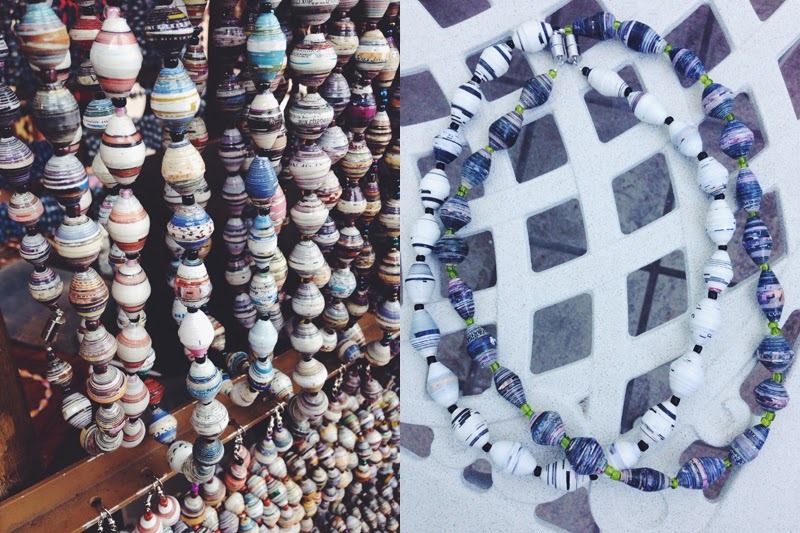 All proceeds from the stand go back to the women who created the beads. Honestly, nothing is better than a unique piece of jewelry with a great story. *All photographs taken by me.